I am a proud military spouse, mother, and I am a legally naturalized American citizen! I have three beautiful, smart, and quickly growing children. We have a rambunctious Yellow Labrador Retriever named Quincy and his best friend Max, my oldest daughter's cat. I was born and raised in the Czech Republic. I studied the Russian, German, and French languages, as well as the fundamentals of Latin while attending high school and college. I never thought the English language was going to be in my future until I met my Marine husband while vacationing in Japan. We have been married for over fourteen years. I worked hard to acclimate myself to the American lifestyle and culture, and have learned the English language on my own without any formal education. My reputation and good name are critical to me. I am known for providing outstanding client service, 24/7 availability, high tech marketing techniques, personal touches, and as a skilled negotiator with my client's best interest at heart. I firmly believe that it is not only my duty to represent my clients to the best of my ability, but to educate them throughout each step of the process while at the same time, arming them with top-notch information and marketing insight, whereby enabling my clients to make the best decisions possible. I'm always honest with my clients, hardworking and extremely knowledgeable about the real estate industry which is evidenced by having surpassed the necessary training and certifications required of most Real Estate Advisors. I am a certified Resort & Second-Home Property Specialist, and I am the only member of The International Multiple Listing Service in Coastal North Carolina, as well as the only Certified International Property Specialist in Coastal North Carolina. I am always trying to bring to the table the best from both worlds – America and Europe. I am well versed and familiar with different cultures and backgrounds. I enjoy a challenge! The best recognition for me is to know that I have succeeded. I am a firm believer in giving back. A donation is made through Coldwell Banker from each of my earned commissions. I love to garden; this is a passion which I learned from my 95 year old grandmother who still lives in the Czech Republic. I enjoy traveling, doing fun activities with my children, spending time with my husband and our overly loveable puppy. It is a lot of fun to watch your hard work grow and bloom throughout the year! Much like Real Estate! I am available 24-7 and respond to my clients’ needs. My motto is "IF IT IS IMPORTANT TO YOU – IT IS A MUST FOR ME". Working with Irena on the sale of our house was truly a pleasure. She was extremely professional and knowledgeable, and made us feel extremely confident in her ability to sell our house. Her work ethic was outstanding and her communication with us was spot on! And when our home sustained damage during the hurricane, and had to temporarily be taken off the market for repairs, Irena was one of the first people to check on us, to offer assistance in getting us alternative housing and just express concern for our well-being. She is passionate about her job as a realtor while at the same time possessing the important trait of connecting to her clients personally. I would recommend her and have recommended her to everyone I know! Irena was very helpful, courteous and professional. After having the house on the market for more than a year, she was able to put the house on the market and sell it within about a week! We could not have asked for a nicer, well-qualified realtor who paid attention to details and got the job done. We have been extremely pleased. I could not be more impressed and satisfied with Irena's performance while selling my house. My house was located in Jacksonville NC. I placed my house for sale for over 20 months with three different agents and none on them delivered their promises to sell the house. After I rented the house for a few months, I decided to sell again...this time with Irena. After I got the house ready, Florence hurricane damaged the house and I needed a lot of repairs. Irena went out of her way to help me out with contractors so I can have the house ready to sell. Without her help, there was no way I could get the house ready to sell within reasonable time. It was really a blessing to have Irena handle the sale. Within ONE week after the house went on the market, she sold it for the price we asked for !! So, in short....if you are looking to sell your house with a very professional, responsive, and competent real estate agent...do not waste your time and go directly to Irena Kohler....Thanks a lot again Irena !! Ms. Kohler helped my active duty military family purchase a home while we were yet stationed abroad. She went above and beyond to communicate with us at odd times, often late in her nights. She answered all of our questions promptly and thoroughly, with great care and concern on our behalf. We highly recommend Ms. Kohler as a realtor. Irena did a great job helping us find a home in the area that we wanted to be in. She was able to answer all questions and knew the area well. We had a great experience buying our first home with her. Irena was an outstanding Realtor. She made our cross country move smooth and easy. She is very knowledgeable for the different communities, schools, and tax rates. Which helped greatly since we were moving from California to North Carolina. Irena was recommended by close friends of ours, and she lived up to her impressive reputation passed along from those who worked with her prior. Although our particular sale encountered some difficulties along the way, Irena was a dedicated resource and advocate who assisted us in navigating all of the challenges along the way. We were thankful to have worked with someone who took the time to invest in a relationship to best understand our motives and intentions. Lastly, and most importantly, Irena upheld the highest degree of integrity and professionalism even when we encountered others who seemed more interested in personal gain or executing the sale at the expense of due process. I would enthusiastically recommend her to friends and family as our trusted resource. Irena was attentive and helpful from our very first phone call until closing. We were first time home buyers and purchased a home sight unseen from all the way across the country. We always felt like she had our best interest at heart and was working hard for us. I would recommend her services to all. Irena was a great asset to us during the listing, showing and selling process of our home. She is very knowledgeable and is active in marketing her listings. She was easy to work with and very responsive when we had concerns or questions. We would highly recommend her as a real estate agent. I did a 1031 exchange. Selling a house in California and purchasing one in Jacksonville NC. Irena was my life support. She went above and beyond to assist in every aspect. I needed a 1031 company, insurance quotes,home inspection,attorney, etc.Irena arranged all this as I am living in Hawaii. This was the 4th home I have purchased.I have never had an agent that worked this hard and was this professional and still very personal.I am overwhelmed with satisfaction. Irena was very knowledgeable and also very caring. I worked with her as she was selling my in laws house. During this they became sick and one was hospitalized. Irena was truly concerned and went beyond what was expected of her. I would definitely recommend her! Excellent and professional services provided. This is my second property that I have had Irena handle for me sight unseen! Irena previewed the unit for me and coordinated a smooth closing. Very responsive and knowlegeable. Clear understanding of property and area. Willing to help in any way possible with current showing or future possibilities. Took the time necessary to completely explain how the realty process worked and was very careful to abide by rules. Fully explained paperwork requiring my signature. Also proactive in seeking answers to propery we were being shown. Irena Kohler is such a patient,caring professional realator! She answered all my questions and then some! Love how she takes the time to make sure all pics of the house ,property are only done professionally! One of the best real estate agents in our area. She was very helpful and available in every step of the process. Ww will use her in the future and recommend her to all our friends. Thank you Irena for all you help. Very knowledgeable and took the time to explain where my house sit on the market. She also provided recommendations on what I needed to do to make my house more competitive on the market. She always responded in a timely manner and seemed to always have helpful spirit. I have dealt with other realtors that did not give me their honest opinion; she didn’t just give me your honest opinion she provide a corrective actions to help me with this process. Very forthright and trustworthy advisor. Irena was professional, attentive with a lot of great ideas on how to help her sell my house. I was very comfortable with her and pleased that she was direct and honest. Irena was very careful to address our questions and concerns. She worked at our pace, was not pushy, but was also ready to act immediately when called on. We're thrilled we found her! Irena Kohler is very knowledgeable and professional. She has given me great information about what my home is worth and what has sold nearby. I will definitely hire Irena when I'm ready to list my home for sale. My mom and I were looking for a rental. Irena showed us many homes. She had patience with us and understood our needs. We have two cats and it is not easy to find a rental where they allow pets. We found a nice home thanks to Irena's help. Irena showed me couple homes in Hampstead while we were searching for our second home. She was very kind, knowledgeable and professional. I would recommend Irena Kohler. We were ready to retire closer to the water. We were searching for very long time with many agents until we met Irena. She had a lot of understanding and was very friendly. After almost a year she helped us to buy our retirement home. 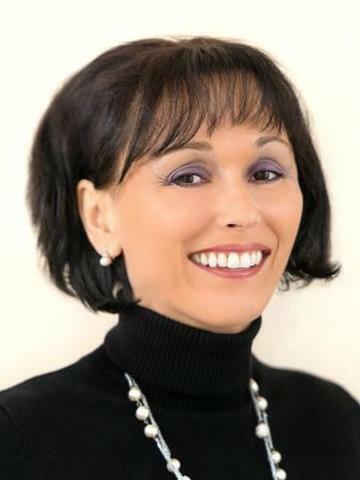 We are very grateful to Irena and will always use her services for all our real estate needs! My wife and I felt lucky to have found Irena. She made showing She has deep knowledge of local real estate, was able to speak to various renovation techniques during walkthrus, made herself available for every concern or question, and was never pushy. It felt like she was vested in our success, a true partner. Irena was able to recommend various services, and even for the ones he didn't, everyone knew her. Our loan co, inspector, and various listing agents all said "oh yeah, Irena, she's a great! This will be easy." so we are happy with her to helping us. Irena never left any questions unanswered and responded promptly. I would highly recommend her if you wish to receive the best service any agent can provide. I really felt she knew her business. During our very first conversation she offered incredibly helpful information and explained her process in a way that definitely showed her expertise in real estate. She made my decision making process a lot easier. Friendly and professional. Irena was very helpful with our home search. She was willing to ask the right and tough questions and was straightforward with negotiations. We appreciated her responsiveness and willingness to help! Irena is the best agent out there. She helped us find the perfect home in the place we wanted. She found us a home on short notice and took care of every detail along the process. I definitely recommend Irena for anyone looking for a home. We were hoping to relocate to NC. Irena was very helpful regarding a local knowledge and our house search. We found the perfect home but unfortunately my job transfer didn't happen yet. We highly recommend Irena for any of your real estate needs! My home was on the market for over a year. I was going to re-list with the same agent when I received a recommendation for Irena Kohler. I knew right from our first meeting that she was going to sell my home. Irena is very energetic and detail oriented. She hired a professional photographer, staged my home, and few weeks later I received an offer which I accepted. I greatly appreciate Irena's service. Irena Kohler is warm and professional at the same time. Business is conducted clearly. I can trust her to provide excellent service. He even opened my eyes to new aspects I should be looking for. I can highly recommend her and will approach for guidance in the future. My family is looking for a vacation home in Coastal NC. Irena was showing us homes in Hampstead and Wilmington. We are still undecided if we prefer waterfront or a property on a golf course. Irena is sending us all listings as they hit the market and makes our house search very easy. Thank you Irena for your commitment. I got orders to relocate to NC from CA. Irena was helping my parents to preview homes for me while I wasn't able to come personally. With her help I purchased a great home in a nice subdivision. Few days prior closing my orders got cancelled but I decided to carry on and purchased the home anyway. Irena helped me to find good tenants and I am now a happy owner of an investment property. I highly recommend Irena Kohler! Irena Kohler is a go getter! My home stayed on the market for months and month until she took over. Irena used a hands on approach. She doesn't delegate import things to others and walk away. My needs and selling my home were her top priority. She came up with new ideas to bring in potential buyers. Irena offered so much more then just selling my home. She shared her knowledge of real estate with us. She provide me with information on where to get repairs done and oversaw the whole process so I didn't have to stress. To top it all off...Irena sold my home above asking price! Thank you, Irena! We will defiantly be using you again. I knew teaming up with Irena Kohler was the right decision. She is very knowledgeable in real estate and the community. She was able to find our dream home within budget. Choose Irena Kohler, you can't go wrong! We were moving from the west coast. We didn't know the area and were trying to find a rental place; sight unseen. Irena Kohler was recommended to us by our friend who used her services. She was really awesome! She previewed the property, helped us secure a rental agreement, and she even picked up the keys from the property management company for us and hand delivered them to us even though we arrived after hours. We are very grateful for all her help. I found Irena's contact online while looking for a home. She was available right away and showed me a home in Hampstead. I am still undecided on a location. Irena is a good agent and I will use her services when I am ready to buy. Thank you very much and I wish you a wonderful day. Irena Is one of the best real estate advisor we've ever met. Her pocal knowledge, experiences, skills and relationship to clients are on high level. We'd likes to buy/rent a beach house and we hope, she can fond the perfect one for US. She was extremely helpful and fast! Gets the job done in no time! Was eager and responsive to all my needs. She even gave me her number and card for a fast response. We will be glad to use her in the future for renting or sale. Irena is a wonderful personality. She is very approachable and engaging in conversation. She really shows excitement in her job and is knowledgeable in her field of expertise. I will certainly reach out in the future her service and expertise. Irena Kohler is a great agent! She listens to her client's needs and tries to help as much as she can. I was not able to drive and Irena volunteered to drive me around with her own car. I am very grateful to have Irena as my agent. Thanks to her, I have finally found my dream home. Irena Kohler is always very professional and knowledgeable. She is a people person. She takes the time to get to know her client's needs. If I decide to sell my home, I would call Irena. Irena Kohler is very personable and knowledgeable. I would greatly recommend her whether you are buying or selling or renting a home. She works very hard for her clients and has a lot of knowledge and experience. If I was considering selling my home, I would definite use her. She showed us a house in the Jacksonville area. Being new to the area, She was by far helpful with many questions we had. Very Pleasant, knowledgeable and was a pleasure to work with! I was considering selling my home. I was going to hire Irena Kohler, but she told me right from the beginning that my home is worth less than the amount which I needed and suggested that I put the home up for rent. She helped me with the rental and put me in touch with a good property management representative. I am very grateful to Irena that she was honest and did not waste my time which made my life stress free instead of watching my home sit on the market with no interest. Thank you. Irene is great. I recommend her to anyone who is in the market for a home or selling there home. I decided to use her after I saw that she sold a farm that other realtors had been trying to sell for years. I needed to sell my mom’s property and it was not in her local area. She didn’t hesitate to start researching and getting the ball rolling. This property is a challenge to sell and she did not waiver. In less than 24 hours it was well on its way to being sold. She is the best and knows so much about the market and North Carolina laws. Irena is a hard working agent that is tireless in her efforts for her clients. She is consistently marketing in the area to create opportunities for her sellers or to find the perfect home for her buyers. Irena is professional and knowledgeable. Irena is one of the most knowledgeable agents I know. She was able to give me buying and selling tips for what types of homes are in our area and the areas to buy in that also have growth and good resale value. If she can't sell it or find it she will make sure someone else will. You can't ask for better. I know where my new house will be located now thanks to Irena!! We were ready to sell our home and interviewed several agents. From the beginning, Irena impressed us right away! She was very thorough, detail oriented and had an answer for every question. We hired her to represent our home and we do not regret it. We received multiple offers and sold our home above the asking price. We highly recommend Irena! Let me say firstly, I was referred to Irena by a friend and I’ve never been disappointed by her. As a military service member who’s stationed overseas, it’s difficult to to purchase property from overseas; but Irena has mad this evolution seamless. She been professional, knowledgeable, helpful and has gone over and beyond to assist me it finalizing my dream of home ownership. I would recommend Irena to any of my military counterparts in a heartbeat. I'm not sure if there is a harder working agent in the business. Her responsiveness and attention to getting information and details is impressive. Her eagerness to find you a home and to obtain all the pertinent details can be a little annoying to "country club"/less than committed agents. If you want someone who will truly work the hardest for you to find your perfect home, Irena is the one. Irena was extremely pleasant to work with, she was knowledgeable about the property we were looking at and made us feel very comfortable with the home buying process. She stayed on top of the situation and gave us her honest opinion when we needed it, returned calls promptly and was fast and efficient with paperwork. I would highly recommend her to anyone looking for an agent and look forward to working with her again in the future! Irena goes above and beyond to look out for her customer's best interests. She has first class professionalism and is an excellent communicator. She is an expert in her career and that is reflected in her knowledge and dedication. The bottom line is this: she will do what it takes to help her client(s) be happy. I highly recommend Irena Kohler. Irena helped me find a rental property for my family. She always was available and made time in her busy schedule to accommodate us. She was honest about the different properties we saw pointing out the good, bad, and ugly. I would recommend Irena to anyone looking for a property to buy or rent! Irena quickly set up very nice properties for us to look at in only 3 days advance notice. She's easy to work with, dependable and has a deep understanding of the market. I highly recommend Irena. She is so knowledgeable and eager to help. I could always count on an immediate answer to all my questions and concerns. If she didn't have an immediate answer(which rarely happened), she would get the answer quickly and efficiently. Irena was always friendly and respectful to our concerns and wishes.If you are looking to buy a home, you will be thankful to have Irena on your side! "Buying a home the first time can be very stressful especially because the process is extremely complicated. Irena works towards the needs of the buyer. If you tell her what you are looking for she will try her best to find it. She also stays extremely engaged the whole time. " "Irena was such an amazing realtor! She was very knowledgeable and incredibly helpful in the process of purchasing a home. I recommend her very highly. " "From the very first conversation, Irena was unbelievably responsive, knowledgeable, and professional. Having no experience with the Camp Lejeune area, Irena gave me great advice about the area, schools, local experiences, etc and treated me like family! She understands the military lifestyle and desires of her clients extremely well and did an outstanding job working to find exactly what I was looking for; I felt like I was her only client I was treated so well! If you are looking for an utmost professional, who truly cares about your wants, needs, and with a deep and thorough understanding of the local area, you CANNOT go wrong with Irena!!" In our search for a rental home, Irena would not rest until we had keys in hand! She was in all things thorough, prompt, professional, and had our best interest in mind. She helped us consider all options before we signed a lease, and we would highly recommend her to any family who is looking to rent or buy properties in the Jacksonville/Sneads Ferry area. If there was a better rating than 5 stars, Irena would get it. She was absolutely amazing in guiding me to rent out my home. She was always quick to respond to all of our nervous emails, texts and voice mails. I was nervous since it was my first time renting out my home, But Irena made us feel very confident that going through Coldwell Bank Seacoast Advantage was a good move, and I could not thank her enough. The entire process was super smooth, thanks to Irena. We are absolutely positive that we would not have had a better experience elsewhere. Now for those of you that want to be told only what you want to hear, go elsewhere, because Irena is strictly business and will be nothing but professionally blunt with you, which is in your best interest, she does not beat around the bush. She will tell you exactly what you need to know about selling, renting or buying your home and TRUST me she WILL get the job done. We highly recommend Irena Kohler and Coldwell Bank Seacoast. What stands out most about Irena is that she genuinely cares about her clients and goes above and beyond to help. Unlike most realtors that are just in it to make a sale. Irena Kohler was very helpful during the negotiation and purchase of my beach property. She has a no-nonsense approach, is extremely reliable and persistent and will get the job done where others may falter. She is an asset to her profession and I would highly recommend her. Irena is a very hard worker and can deal with unique situations. We were looking for a house for over a year and dealt with several realtors. My situation required them to work. After speaking with them I could tell that they just wanted a quick, easy paycheck. Irena took the time to work with me a got me the home that my family deserves. If you need a home in this area, she should be the first realtor you contact. She found me the cutest mid-century bungalow for a super price. Located in a nice neighborhood that's low traffic so great for bicycling with my dogs. Irena was the most helpful and efficient professional individual I have EVER worked with. She helped us over the Christmas holiday buy a house in Holly Ridge, NC. Although it was a holiday, she never missed a beat and kept on top of things. She will work seemingly 24 hours a day for you and do the very best for you. There are not enough words to express how wonderful she is. Irena was the buyer's agent for our buyers. She did a great job representing them, and her estimation of the home's value per square foot was exactly where it should have been, reflecting skill in using recent sales to prepare a fair offer. Irena communicated very well throughout the entire sale process. Irena was extremely helpful in finding our home in Sneads Ferry. It was a great experience. If she misses your call she always gets back to you in a timely manner via text or phone depending on the circumstances. She is there to work for you. Irena makes YOU the priority. Forget about real estate, If I was a professional athlete I would want her as my sports agent. She is ALWAYS working hard for your best interest, and was available for me whenever I needed her help 24/7. Finding a place to call home can be frustrating at times, ( we were tough clients) but we made it through the ups and downs, and came out with a beautiful property and great agent that we can now call a friend. Thanks for your commitment to us. If you need an agent that will go the extra mile you need Irena Kohler. We worked with several agents over two years and none of them were as attentive to our needs as Irena. She's diligent, friendly and sweet. We worked with her for several months. She did a lot of researching and time taking tasks to help us get the right place at the right price. We were very impressed and appreciative of her help. We wouldn't want anyone else if we ever need a real estate agent in the future. Irena was great, so knowledgeable and professional. She made the process very smooth and even did some hand holding when I hit a few bumps. This is my first home and I don't think I would have made it through without her help. Thanks so much Irena for finding my mid-century bungalow. Irena Kohler is not only a fun person to be around, she is efficient, dedicated, and really cares about the individuals she is working with. She is great at her job and I easily recommend her as an agent that will find you a the place you are looking for, and help you get the terms that you want for it. I am completely satisfied with her work and I love my new home and the terms that were negotiated along with it. My experience with Irena was the smoothest home purchase I have ever had (I have bought and sold 5 homes). She was very focused on my needs and always available to answer questions and show me properties. I would highly recommend Irena for your home purchasing needs. Looked like a relocation to the area was in short order and we met Irena driving in a neighborhood. She has been nothing short of perfect in her willingness to show us the area, provide us with information, provide information on listings and was just excellent while we were with her one afternoon (and early evening). If you are moving into her areas of service - give her a call!! You will not be sorry! Irena was such a joy to work with! She assisted me with finding just the right home for my family. She was very attentive and determined to make me happy. I felt like I was her only client--she made me feel very special. She knew a lot about the Jacksonville area, and successfully guided me the process of renting a home. Many realtors aren't as willing to help clients find rentals, they would prefer to work only with buyers. Irene never made a difference, she prioritized my requests, and made me feel like I was her only client. She is knowledgeable and very consistent. I highly recommend Irena for all your rental/buying needs! I cannot say enough about her excellent customer service. We have both sold a house and bought one with Irena' expert assistance. Our market is the worst I have ever experienced in 11 transactions over 21 years. It is difficult for BOTH buying and selling do to different factors, typically taking about 11-13 months to sell a home, and typically under appraised value. Irena mowed down problem after problem be it process, legal, or buyer related with dogged persistence and creative thinking and sold our home at a profit after less then 6 months! She gladly took on our search for a 100 year old home in a market with very few to offer, and we successfully landed our dream home on favorable terms. I cannot recommend highly enough! Irena was great to work with; she helped us with our move from Virginia. She did all of the leg work and scouted properties for us so that the little time we had to look at houses was smooth. Quick to respond to any questions day, night or weekend. Will recommend to family and friends and would definitely use again. Irena Kohler is a true professional. She was always ready with information and answers to any questions I had. She was sensitive to my needs and always made me feel I was in good hands. I would highly recommend her to anyone. I have not purchased a home yet, but I had the opportunity to sit with Irena on many occasions to learn about the whole process on purchasing a new home. Irena's knowledge is impeccable! Just knowing the time she spent with me, to explain step by step all that I would need to do, when I feel that I am finally ready for a new home, I would definitely stay with Irena. Irena helped my husband and I find the perfect home for our family. She sent me listing that were spot on with what we described to her that we were looking for. This was the first home that we have bought and had no idea what we were doing. Irena walked us through the whole process. She explained everything step by step and always checked to make sure that we understood each part of the process. Irena never tried to pressure us in anyway. She was able to work around my husbands schedule and our three kids, and she was/is always very pleasant and ready to help. I can say enough good things about Irena, she made our home buying experience a great one. Irena had everything under control through the entire process from starting the search to checking that things were going well after closing. We were relocating, and I was at a new job, so scheduling was a nightmare. Irena worked with us and was always available and responsive, even for "hand-holding" when we had questions or worries. She also found a home for my sister and worked hard to find us a home comfortably affordable, in a lovely quiet neighborhood, and within bicycle distance of my sister's home. Irena Kohler is my go-to realtor for up-to-date listings and help with navigating the realty market. I value her expert advice because she is a realtor who really cares about her clients. Our experience with Irena Kohler has been the very best, 100% the best real estate agent. We are moving to North Carolina without knowing anyone or anything about the area. Irena listened to our needs, wishes and wants. when we would call with a off the wall request, Irena would answer without any hesitation. Very knowledgeable, precise and friendly. I would highly recommend any friends or family to use Irena as an agent. We appreciate her and value her and thank her. When my husband and I started searching for homes we put in requests for info with a number of different agents. After speaking with Irena for the first time, as soon as we ended the call I told my husband, "We're going with her." Irena is extremely knowledgeable, friendly, prompt in responding, and gets the job done. This was our first homebuying experience and I am so glad we found Irena. Because of her, the process ran more smoothly and stress-free than we could have imagined. We wholeheartedly recommend Irena Kohler. Irena was extremely helpful in assisting us with the property management process. She was thorough, quick to respond and very helpful throughout. She assisted with the process, referral and was able to assist with the entire process. Irena was nice and worked hard to find and found tenants the same day of me putting my house on the rental market. she gave me the honest truth about what I should and could rent my property for. Irena was integral to our relocation. She helped us when no one else would. We have a unique situation because I am on a fixed income. She worked on our behalf more than any agent I have ever worked with. She helped me find a lender to work with me. She also gave me information that helped me find appliances and services. She was also great at explaining the process of buying a home and arranging the necessary inspections. Irena was amazing I needed a house in a budget and only had a short period of time to find it. From the day I saw the house we were closing within a month. She helped negotiate to get the best deal. I would recommend her to anyone. Irena worked hard & long for our short sale! It took over five months. Always keeping us up to date. If we had any questions or concerns she had the answer. Now we have the home of our dreams thanks to her!